Change consumer behavior inside your Sky Zone locations by transforming your TVs. Drive revenue, boost engagement and entertain with the hyperlocal content you select. 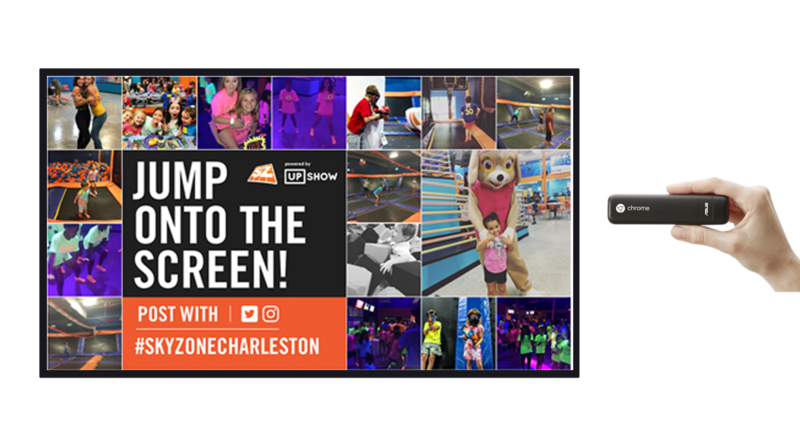 Social TV compels your customers to share about Sky Zone on social media every time they visit your venue. Everyone loves to be on TV! Entertain customers with dynamic content on the teams and topics that matter to them - sports, humor, pop culture and more! UPshow’s extensive library of Feeds allows you to curate custom programming unique to Sky Zone guests. 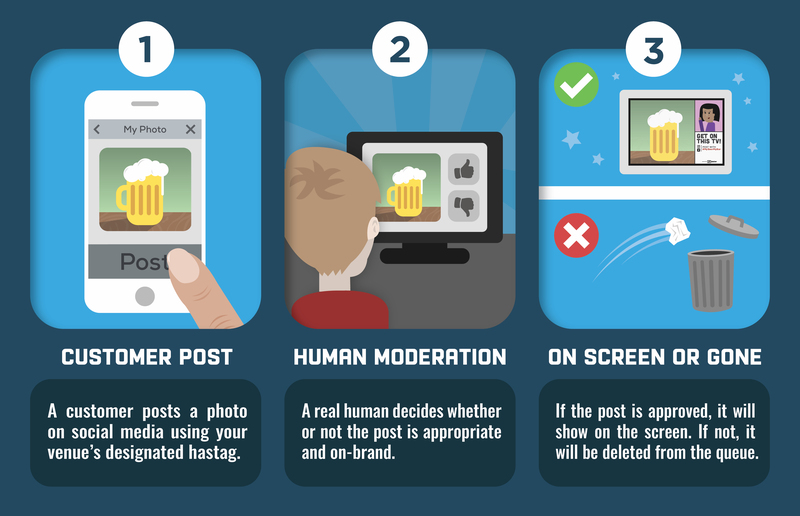 Keep displays family friendly with continuous content moderation by real humans.